The Easter service I went to today was thick with the Spirit of God. I worshiped fully in the presence of Jesus, humbled by his glorious light, and the words of his Spirit rich upon my lips. I loved the pastors words about the Lord's Prayer. He explained that when Jesus spoke this prayer, he was speaking a prayer of war! He was making a declaration as the One that will conquer! When I pray "your Kingdom come, your will be done" I am making a strong stand. I am saying that I want a Kingdom heart. I want to be selfless. I want Jesus to transplant his nature into me and conquer me. His will, not mine. When I do this I am asking his Kingdom to come into my being and his will to be done in my life while I am here on earth. 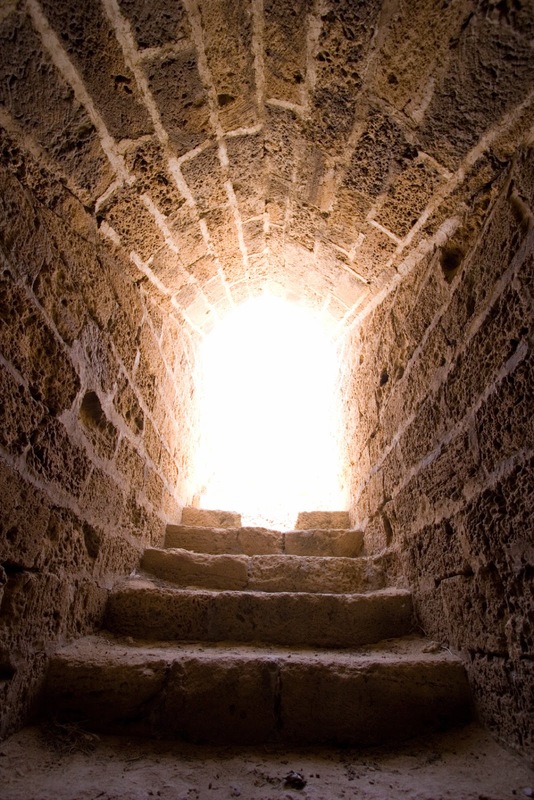 I am declaring that I am ready to claim the power of the empty tomb and live in his resurrected life. I am saying that I believe he has seated me in heavenly places and the enemy does not have power over me. To conquer, I will be humble, loose myself, be gentle in spirit, and know it is only the righteousness of Jesus that enfolds me. To conquer, I will be merciful to others, my heart will be pure, and I will be a peacemaker. To conquer, I will rejoice, even when others persecute me, for God has given me his Kingdom. He is not in the tomb, he is risen, he is risen, indeed! He conquered death, oh death, where is your sting? And, now he lives, he lives in me, and the power of the resurrection rises within me and flows through my veins. Oh to Say That Again, every day of the week! He is risen, he is risen, indeed! The tomb is empty!